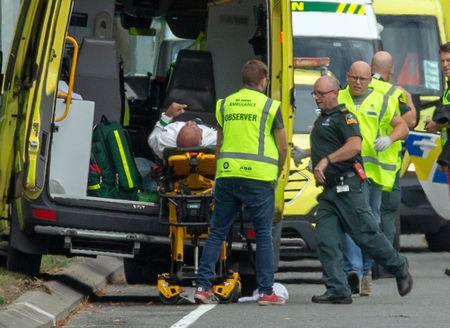 JAKARTA (Reuters) - Indonesia's foreign minister said on Friday the world's biggest Muslim-majority country strongly condemned a shooting at a mosque in New Zealand and authorities were checking on whether any of its citizens were victims. "The government and the people of Indonesia convey deep condolences to the victims and their families," Minister Retno Marsudi said in a statement. She was earlier cited by media as saying six Indonesians had been inside the mosque when the attack occurred, with three managing to escape and three still unaccounted for.